When your targeted buyer personas are interested in your healthcare organization, how do you reassure them that it’s safe to take the next step? This question is at the heart of lead conversion or turning passing interest into new customers. CRM, or customer relationship management, is a bit different for healthcare than other industries. It’s heavily regulated, has strict privacy concerns, and involves true life-and-death situations for patients. . Your organization’s success depends largely on your ability to manage a massive database of customer experiences and feedback. While a shoe company might only sell someone a couple pairs of shoes a year, you’re likely to have more complex and ongoing interactions with your consumers. It’s strongly recommended that healthcare manufacturers us a robust CRM tool. These tools ensure that you’re identifying, connecting with, and satisfying customers as part of a long-term marketing strategy. Finally, let’s take a moment to look at the digital marketing issue of pay-per-click (PPC) vs. organic search. Although each approach has a list of pros and cons, in general, their use should be based on where your company stands in its lifecycle. 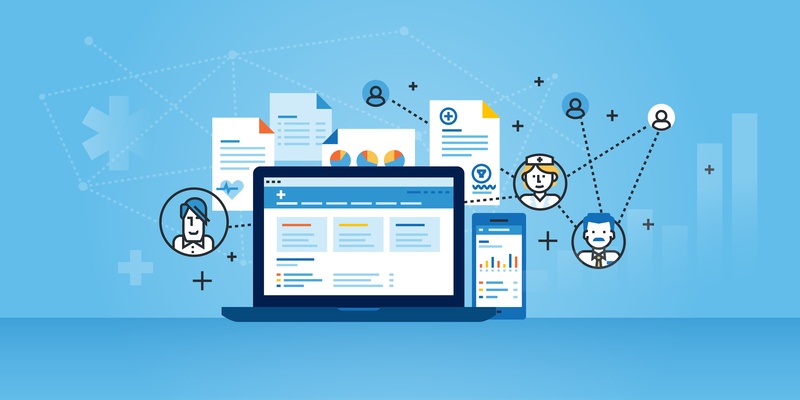 A brand new healthcare company needs to build trust and will almost certainly need a strong PPC strategy to establish its place on the internet. Develop name recognition by sitting at the top of search results. If possible, go for maximum traffic: use both a PPC campaign and organic search drivers. The duo results in an 84% boost in organic clicks and a much more visible online presence. Your healthcare organization might not reach the Google Top 10, but it will develop strong name recognition and loyal following within your target market. Looking for more digital marketing tips for your healthcare organization? The KBK Communications blog focuses exclusively on healthcare sales and marketing. How Will MarTech Advances Affect Your Business?